The Camargue is our favourite place in France. I only visited it for a day but it completely captivated me. We had a ride on the white horses, arranged just as we were passing which was fantastic. And then stopped for lunch in Saintes Maries de la Mer. The Camargue is a triangular area of Provence with the town of Arles to the north and the Rhone delta to the east. It is made up of wetlands, pastures, dunes and salt flats. 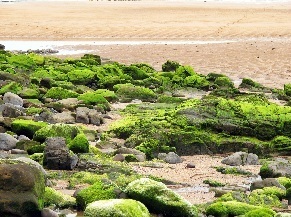 Part of it was designated a nature reserve in 1927 and in 1970 the area was granted National Park status. Many of the tourists come to see the famous Camargue horses, and the flamingos which are the symbol of the Camargue National Park. You can also see the distinctive Camargue Cattle which are black with long horns and are tended by French "cowboys" called "les gardiens", who ride the white camargue horses. It is possible to go for a ride on these horses. The main road through the Camargue goes from Arles to the north to Saintes-Maries-de-la-Mer, a lovely village on the Meditteranean to the south. If you are here in May you can see the traditional and colourful Saintes-Maries-de-la-Mer Gypsy festival & pilgrimage which is one of the major Provence events. Every year the Roma celebrate and worship their patron saint, Saint Sarah in the coastal village of Saintes-Maries-de-la-Mer in the Camargue region. You can explore this area and see the extensive area of marinas and yachts. 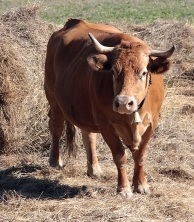 Bulls have roamed the marshes of the Camargue since antiquity and form part of daily life in this region. You can go and watch the traditional "Feria Corridas" or bullfighting in the Roman arena of Arles, which take place from Easter up to the end of September each year. Before the Feria, you can view the bulls in the "Espace Toro", and you will be able to find out more about bullfighting traditions in the south of France, Provence region. (Bulls are not killed in bull fights in France). The Roman Theatre in Orange is a fantastic building to visit. It has a 65 m long stage and still has some of the original accoustic wall. 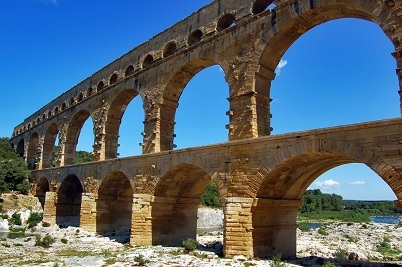 Following the fall of the Roman Empire, the Roman Theatre was no longer used as a place for entertainment. Restoration only began in the early 1800's. The use of the Roman Theatre as a stage for lyrical and musical performances became prevalent in 1971. All of the world's great lyrical artists have performed there. An aquarium with different sections including seal and dolphin shows and a touch pool as well as Mediterranean and tropical fish. If you have younger children or teenagers with you who would like to have a day in a water park then the excellent Aqualand Cap d'Agde is well worth a visit. This is a large waterpark with an excellent selection of pools and slides. Suitable for toddlers and teenagers. It has over 20 attractions on 4 hectares of beaches and waterslides to suit the whole family. It is quite expensive but it is a fun day out. Mind you if you are like me and you would be too scared to go on any of the flumes etc then it is a bit much having to pay the full adult fee ! A Room with a View - or...a Caravan with a View or a Mobile Home with a View ? When you book a camping holiday abroad it can be difficult to visualise exactly what view you are going to get from your mobile home, tent or caravan. You can arrive at your campsite and if you have booked with Keycamp or Eurocamp or similar companies often you end up following your rep - who is often on a bicycle ! - and you await with trepidation to find out which part of the campste you are going to spend the two weeks of your summer holiday ! However wiser travellers get booked up well in advance and if you want to guarantee that you will have a fantastic Sea View or Lake View from your holiday mobile home or caravan then this is entirely possible to do. 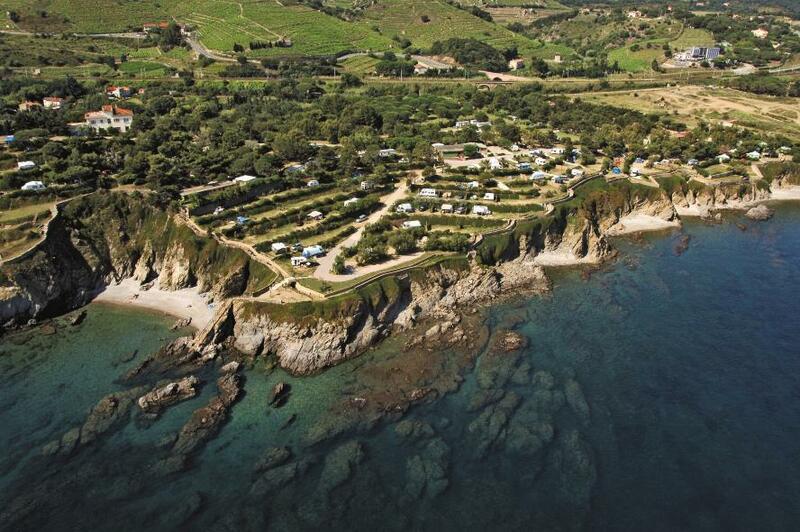 Eurocamp and Keycamp allow you to book certain zones in some of their campsites and some of these zones offer a view. We can recommend one in France on the Mediterranean, one in Spain also on the Meditteranean and one on Lake Garda in Italy. 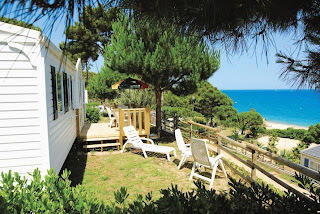 In France near the border with Spain you will find the small Les Criques de Porteils Campsite overlooking the Meditteranean Sea. 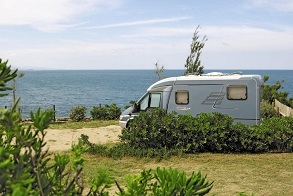 This site has numerous sea view plots to either take your own caravan or tent or you can book a mobile home with Eurocamp by clicking here. Nestled on the rocky coves that typify this small corner of France, this terraced Castels parc has direct access to several small pebble beaches. Criques de Porteils is ideal for a quiet family holiday or couples seeking a cultural retreat from the hustle and bustle of the nearby resorts of Argelès Plage, which is a short drive away. 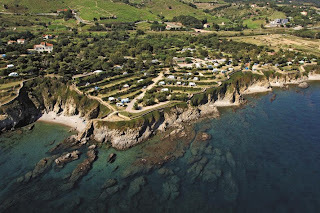 Read our review of this site on Best French Campsites at http://www.bestfrenchcampsites.com/campsites/collioure/lescriquesdeporteils.html. Cala Gogo in Spain has a Beach Zone that is bookable. Eurocamp don't guarantee a view from every mobile home on the Beach Zone though but if you can manage to book one like the one photographed here then surely that is a dream holiday ! Click here to view the Cala Gogo campsite with Eurocamp. In Italy you can visit the popular Lake Garda area and why not make sure you have a view of the Lake by booking one of the mobile homes with a view at Camping Eden on the Western side of the Lake. 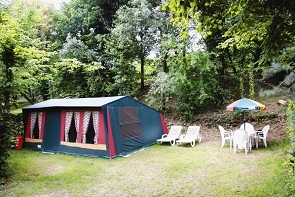 You can also read our review of this site at http://www.bestitaliancampsites.com/italiancampsites/campingeden/campingeden.html. 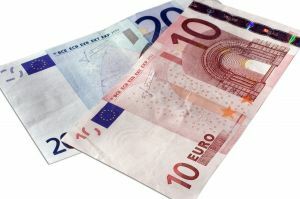 Euros - Here to Stay ? 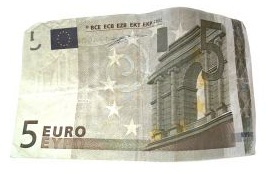 Well after this weeks deliberations between various European Leaders, it looks like we will be continuing to use Euros while on holiday in Europe. 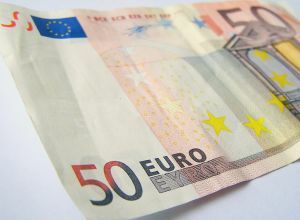 If you havent used Euros before then they may take a little time to get used to ! 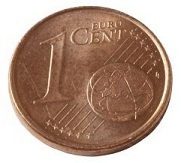 And you can also get Cents which are worth less that a Euro. 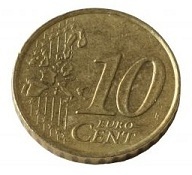 100Cents equal 1Euro. 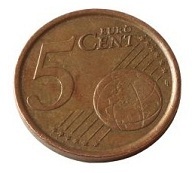 There are 50Cent, 20Cent, 10Cent, 5Cent, 2Cent and 1Cent coins. 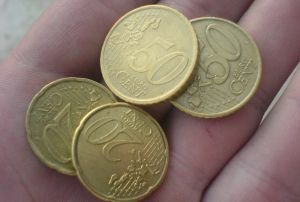 So for example something might cost 1E 50 which means 1 Euro 50 Cents. Below are photographs of the various types of money to get used to. 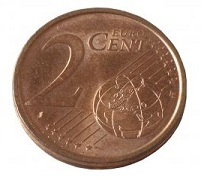 The actual designs on each Euro are designed to reflect the different countries of Europe so you may find that your Euro is not actually a French one, but they can be used in any European countries which have the Euro as a currency. European Heritage Days (EHD) is a joint action of the Council of Europe and the European Commission. Every year for a weekend in September (in 2011 in France it was 17th - 18th September), you can take the opportunity to visit (for free !) buildings, monuments and sites, many of which are not normally open to the public. The aim of the European Heritage Days programme is to increase public awareness of the importance of heritage, and to awaken the interest of young Europeans in their common history. The event now takes place in 50 countries from the Baltic to the Balkans, from Iceland to the Iberian Peninsular and gives Europeans a chance to explore both their own heritage and also that of their neighbours if they happen to be visiting another country. European Heritage Days in Northern Ireland. It is a fantastic chance to see into all sorts of building and to find out first hand what happens there. For example this past weekend in Paris, 12,000 people took the chance to pay a visit to the Sarkozy's residence at the Elysee Palace ! 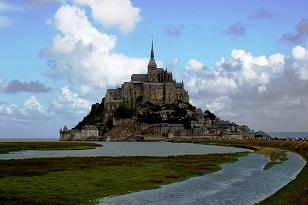 In total, there were over 12,000,000 visitors to all sorts of buildings around France. 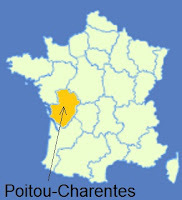 The website will show you what you can visit in a particular region : http://www.journeesdupatrimoine.culture.fr/ In Brittany, for example, you could visit abbeys, chateaux, chapels, churches, forts, museums, manors, gardens and semaphore stations, in fact in total there were 611 open doors events in Brittany this year ! Well if you've have survived the credit crunch with any money left then why not follow your dreams and go along to the final big Motorhome Show this year and see if you can spot a bargain new or used motorhome. It's on at Shepton Mallet showground near Bath this weekend from 9th -11th September. With all that space to display the motorhomes we can get a real chance to get a good look round them, although if you are seriously buying its probably best to go along early on the Friday to avoid the weekend crowds ! There will also be lots of accessories and outdoor clothes for sale as well and if you really can't decide which motorhome to buy then why not wait until Saturday night when they announce the winner of the Motorcaravan of the Year awards ! I've just been talking to some other campers (retired !) who spend the winter in the South of Spain and Portugal, spending 4 months on campsites and with fees for longer term stays as low as 10 Euros per night then its a great way to spend the winter months ! Especially if we get another winter like the last two ! The Fête de la Musique is now one of France's main cultural events and takes place on the day of the Summer Solstice, the longest day, the 21st June. It was launched on June 21, 1982 and is a gathering of professional and amateur musicians and singers, playing rock, jazz, classical and traditional music. The musicians are asked to play for free, and all the concerts are free for the public. The spirit of the Fête is to play in the open air such as in streets and parks or in public buildings. 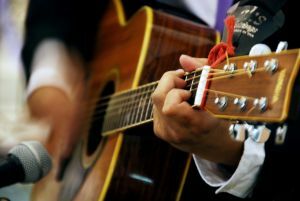 The Fête de la Musique has also encouraged some of the major musical institutions such as orchestras, operas and choirs to perform outside their usual locations. It has now been exported to over 100 different countries all over the world, including the UK, where the Alliance Francaise co-ordinates many of the events. Now for 2011, you can download for free an Android or iPhone app to find out what's going on in your area. The Le Mans 24 Hour Race starts today, 11th June at 14.00 hrs and runs through to tomorrow at the same time. The race itself is on roads which are normally open to the public. The cars are driven continuously through day and night by a rota of three drivers. 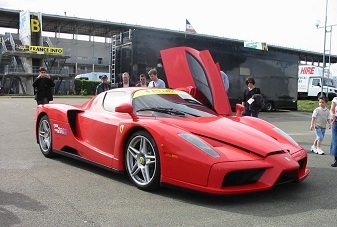 The cars themselves actually cover more distance in the one race than a Formula 1 car does in its lifetime ! The cars can reach a speed down the straight of 20 mph faster than a Formula 1 car and yet are 40% more fuel efficient. Watch out for Alan McNish, the Scottish driver who has won previously in 1998 and 2008. He is driving for Team Audi and their main competitors are Team Porsche. 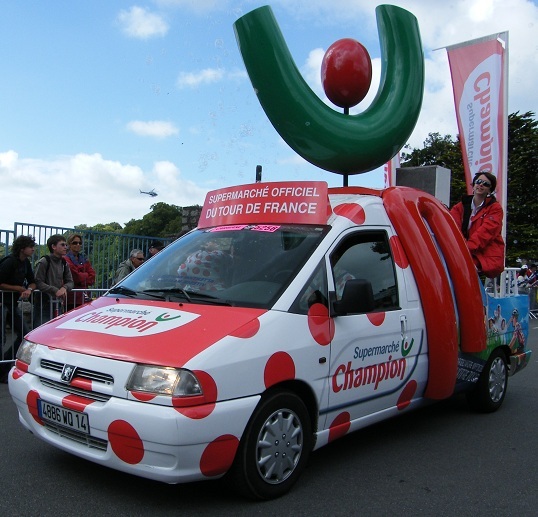 If you are lucky enough to be camping near the Tour de France cycle race route this year then here are some handy tips to help you sound like a knowledgable follower of Cycling ! We went along to watch the race two years ago as it left the small town of Auray in Brittany at the beginning of a stage (or etape as its called in French) and we had a great day out. 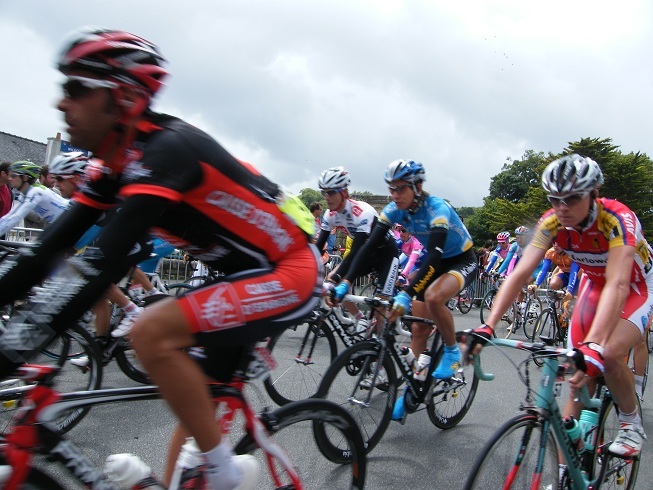 This year the Tour runs from Saturday July 2rd to Sunday July 24th 2011, it will be made up of 21 stages and will cover a total distance of 3,430.5 kilometres. The route varies each year but always includes some short flat sprint sections and some mountainous sections before culminating in Paris with a sprint. This year the "Grand Start" is in the Vendee and then it continues through Brittany, Normandy and Central France before heading south to the Pyrenees then across to the Alps before heading back for a final finish in Paris. If you are able to catch the tour then go along to watch about two hours before when you will catch the "Caravane" which is a series of mad looking vehicles and characters who throw lots of freebies to the crowd - great fun !" Then the race itself will flash past - we nearly missed it after all the waiting ! Either our watches were wrong or they set off two minutes early. Watch out for the following jerseys - they all have a meaning ! The YELLOW Jersey is awarded to the overall leader of the race. The GREEN Jersey is the next most prestigious and is given to the leader of the sprint sections. 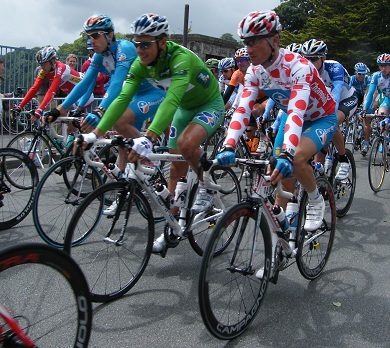 The red POLKA-DOT Jersey is awarded to the rider who earns most of the points on the mountainous sections of the race. The wearer of the jersey is known as the "King of the Mountains". Scotland's Robert Millar was King of the Mountains in 1984. The WHITE Jersey is the newest of the jerseys and was introduced in 1975. It is given to the best young rider (i.e. under 25). To impress your friends and family as you are spectating, why not casually mention some of the more famous recent winners of the race ! These include 7 times winner and surely you must have heard of him, Lance Armstrong from USA who won between 1999 to 2005. And there was 5 times winner Eddy Merckx from Belgium who won between 1969 to 1972 and in 1974. 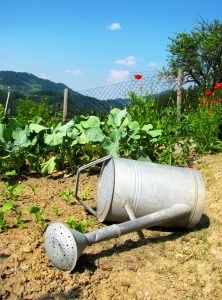 France has had drought or "la secheresse" affecting a large number of regions for a few months now. Today, Farmers from Beam in the Pyrenées-Atlantique departement which has not been so affected, have driven 200 km on a rescue mission to take hay (in French its called "paille") to farmers in Deux-Sevres (a département to the East of the Vendée) to feed their animals as the crops have just not grown in the dry weather that has hit that region. It has been a week of unexpected weather with rain and thunder through most of France, but this has not made much impact on the very dry crops in certain regions. And further misery has hit farmers in an area of South East France who reported hailstones which have broken greenhouses and damaged the skins on ripe fruit crops such as peaches, cherries and pears, ruining whole harvests. 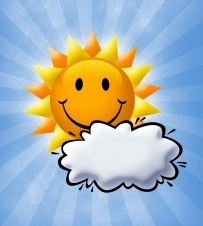 In a bid to predict what the weather might do for the next month, and whether it will suit holidaymakers and/or farmers then we can remember an old French saying about today's (8th June) Saint's day, St Médard's day : "S'il pleut le jour de Saint-Médard, Il pleut quarante jours plus tard.". The saying translates as "If it rains on St. Médard, it rains for forty days after". The same would apply if it is sunny on St Médard's. So here's hoping for some better weather ! The latest update on the drought situation in France is that there is talk that some Nuclear Reactors may have to shut down temporarily as there is just not enough water available in the rivers to pump through them to cool them down. So this may lead to electricity and power shortages. Lets hope this situation improves soon. It is pretty drastic - too little rain in France and South East of England with France reporting the hottest Spring for 100 years. Meanwhile its apparently snowed in some Alpine ski resorts with Tignes having the heaviest snowfall since November with 0.8m falling on the 1st June ! Bizarre ! And here in Scotland we've had more rain than usual - as usual ! This lovely region is based around the River Dordogne which is popular for canoeing (visit Copeyre Canoe if you want to try this). The soft limestone rocks of the area has lead to some fantastic rock formations and cliffside villages as the river has eaten away at the soft rock. Water has also led to the creation of numerous limestone caverns and caves and in these you can view prehistoric cave paintings as well as stalactites and stalagmites ! 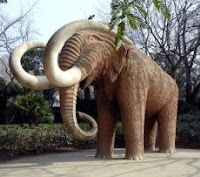 If you want to see some animals which are similar to those featured in the paintings then you can visit at Le Thot - Espace Cro Magnon near Montignac. The buildings of the Dordogne are famed for being built in yellow limestone and grey roofs. Château de Marqueyssac - with its famous hanging gardens which are some of the best kept gardens in France. There is a candlelit walk which takes place in July and August on Thursday evenings. Château de Milandes - between Castelnaud & Berbiguiéres, which has Falconry displays several times per day and if you are brave there are night flights to observe the chateau from the house's own captive hot air balloon ! Château de Hautefort -one of the most prestigious châteaux in southwest france, classified as a historical monument. There are also some lovely towns such as Sarlat, which is famous for its Saturday market, and Bergerac, famous for the character Cyrano de Bergerac. 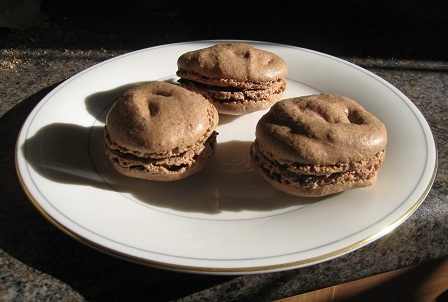 There is a culinary festival every July in Bergerac. Ever wondered about the differences between all the different types of restaurants, cafes and bars in France ? Motorhoming with France Passion ! When is the best time to Book your Summer Camping holiday ? If you are planning to go on a Eurocamp or Keycamp holiday then you might wonder "When is the best time to book your holiday ?" There are usually early booking offers and late booking offers, but the particular campsite you have chosen may get booked up quickly. So the question is when is the best time to book ? If you are going in High Season of July and August you will really need to plan ahead if you want to go a particular site. I have just scanned the holidays which are still available at the start of March 2011 for this summer 2011. I have found pretty good availability even for the peak of the High Season at the start of August. Only the most popular sites have limited availability. If you are going to a very popular site you may need to book early. For example La Garangeoire in the Southern Vendee and Les Deux Fontaines in Southern Brittany at the beginning of March already nearly booked up for certain weeks of July. The good news though is that you can reserve holidays with Eurocamp and Keycamp for as little at £100. So if you have a fairly good idea of where you want to go on holiday why not reserve it early on and then as it gets nearer the time to pay in full, you can see if you can afford to go ahead with the holiday. In these Credit Crunch times with lack of job security this is a good idea. Two years ago we holidayed at Les Deux Fontaines in Brittany and we get to the site in late June/early July and wondered how was it so difficult to book two weeks holiday when many of the mobile homes seemed to be empty. We discovered that this is because they were maybe booked out for a holiday that started towards the end of our stay. So a holidaymaker only overlapped with us by 2 days but that meant that that particular mobile home was unavailalbe for the particular 13 night stretch that we were looking for. However, if you are willing to move mobile home half way through your holiday or even to change site then you may find there are still options available to let you holiday in the sites or area that you have chosen. If you are feeling adventurous and want to try "real camping" then the good news is that the Eurocamp or Keycamp tents are often the last things to book up on a site. Mobile homes seem to be more popular. 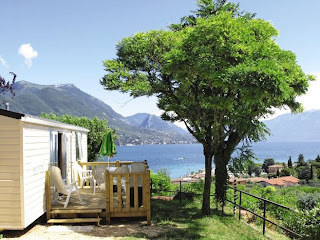 If you would like some more information to help you plan your holiday, we now have 20 different campsites in France which you can read about on our website http://www.bestfrenchcampsites.com/. We used this website in our French class today. Our teacher had decided we should listen to the news on "France Facile" ! ie "Easy French" !! Its an excellent site with loads of current affairs information. And if you cant follow all of the French first time then you can look at the script that goes along with the day's news on "Franch Facile". I found out loads about World affairs as well as picking up some new French words. I also like the listening exercises where you can test yourself on your understanding. Have a go and let me know how you get on - did you find this useful ? France has an excellent, fast train service, with the TGV "Trains a Grand Vitesse" (literally very fast trains !) which can take you from the North to the South of France in 3 hours in comfort. A definite alternative to air travel or taking your own car to your campsite for your camping holiday ! You can now take your dog or cat to France thanks to the "Pet Travel Scheme"(PETS) which involves your dog having its own "Pet Passport" ! The scheme applies in the following countries only: Andorra, Austria, Belgium, Denmark, Finland, France, Germany, Gibraltar, Greece, Iceland, Italy, Liechtenstein, Luxembourg, Monaco, The Netherlands, Norway, Portugal, San Marino, Spain, Sweden, Switzerland and the Vatican. 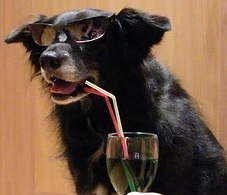 This Pet Travel Scheme allows people to take their pet dogs and cats on holiday to France and then to enter back into the UK without them having to go into quarantine - however, you and your vet must follow the rules carefully - otherwise your dog or cat could end up going into quarantine or having a return journey to the UK delayed. Secondly have your pet vaccinated against rabies (even if your pet has already had a rabies vaccination). This should all be recorded on the PETS (Pet Travel Scheme) documentation by your vet and you will be issued with your PETS Pet Passport so your pet can re-enter the UK. You can even add their photograph to aid identification ! Further detailed information about all of this is available at the DEFRA site - I have put a link further down this article. The dog will require a booster Rabies Vaccination every 3 years - make sure you get this done on time or you will be back to square one in the whole process ! Before you set off the dog may need to be checked by a vet to approve that the dog is fit for travel. And although not necessary under the scheme, its advisable to get a tick treatment before you go as the Babesia tick is present in France but not in the UK. Some of these more dangerous ticks etc. are more prevalent in the hotter zones of the south of France. When travelling remember to take all your documentation with you including the Pet Passport ! Check if your pet insurance covers you while abroad. Take a dog ID tag which has your details of where you are staying on holiday in case your pet gets lost on holiday. If travelling on a ferry, on most shorter ferry crossings your dog must stay in your car so please make sure you leave the windows ajar and make sure they have a water bowl. Preferably travel on as short a crossing as possible and make sure your dog is in a safe area eg have a dog guard across the back of your car or a secure crate. You can arrange with some ferries to check the dog during the journey, as long as sea conditions allow this to be done safely. Eurostar crossings allow to you cross with your pet in the car with you which is probably the easiest way to travel. Your pet must be treated by a vet in France against tapeworm using an approved treatment (not less than 24 hours and not more than 5 days before you leave). The product used for the tapeworm treatment must contain praziquantel. Ensure all your documentation is correctly completed by the vet or you may not be able to travel. (Be careful as many vets are closed on Sunday and Monday). The vet will probably also check the microchip to identify the dog. Remember to check if it is a Bank Holiday when you want to return, as this will affect the opening times of vets. Also book your vet appointment as soon as you can for the return journey treatment as they can get quite full and you don't want to be refused a sailing because your pet has not got the correct paperwork. Brittany Ferries website states that you should be aware that at all French ports you need to get out of the car and check the pet in, in the terminal - this can take time and be an upheaval if you are travelling alone and also have small children. Although we were able to have our dog checked in the car this year when travelling through Caen. If you want to travel separately from your pet there are approved transport companies which can arrange this - all the same rules about visiting vets etc. will still apply). Dogs Away is a useful organisation who, for a small fee, will help you to book in with a French vet for your visit in the 24 - 48 hour period before leaving France to get the tapeworm treatment. Well worth it even if your French language abilities aren't too bad as they are dealing with this every day so know exactly what to arrange with the vet. Please remember to leave your pet with water within the car and leave the window slightly open to give your pet a comfortable journey. AND when you get to France, dogs have to be properly restrained in the car so as far as I can tell you need either a dog guard, dog crate or seat belt - does anyone have more information about this ? We also bought a muzzle to take as there was some talk that we might need this at the vets. Category 1 are "attack dogs" which include dogs whose appearance is of American Staffordshire terrier (pit-bulls), Mastiff (boerbulls) and Tosa types (i.e. without pedigree). It is prohibited to bring these dogs into France. Category 2 are "defence and guard dogs" - including such breeds as American Staffordshire terrier, Rottweiler, and Tosa breeds (i.e. with pedigree), and dogs of a Rottweiler type (without pedigree). Note : the American Staffordshire Terrier breed is not to be confused with a Staffordshire Bull Terrier, which is not listed as a dangerous dog. Since 1st January 2010, as a result of legislation dated 20 June 2008, all owners of dangerous dogs (category 1 and 2) in France must hold a certificate of aptitude for keeping a dangerous animal, delivered by an approved trainer, and a licence for the animal, from the local town hall (Mairie). Until modification of the law to allow category 2 dogs to be imported into France, it is advised not to bring such animals into France, whether on a temporary (holiday) or permanent basis. Sanctions may be incurred for absence of licence.